The Art Center Purnu is located in the centre of the most beautiful nature on the shore of Längelmävesi. Each year Purnu organises summer exhibitions with changing themes, full of current finnish modern artists. Also different events, performances and courses are held during summer. Harmony between nature and culture creates a unique ground for experiencing art. 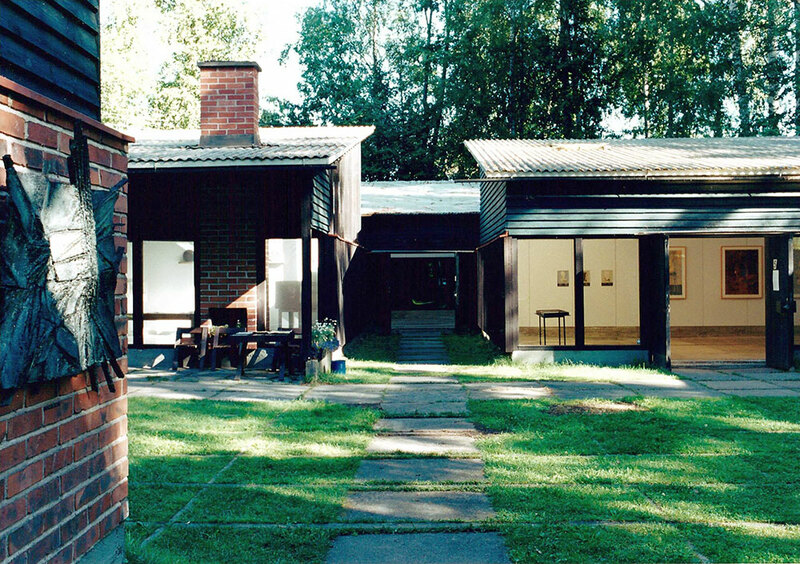 Finland’s first summer exhibition was arranged in Purnu in 1967. Within years over 500 artists have been exhibited, chosen by the changing curators. Today Purnu’s summer exhibition is also part of Oriveden Suvi-events. Exhibition activity was started by the founder of the art center, sculptor Aimo Tukiainen (1917-1996). who is one of the modern finnish sculpture art’s most significant makers. His wide and versatile production mainly consists of a large amount of monumental works, portraits, medals and small sculptures. In the drying barn the works of Aimo Tukiainen f.ex and Marhsal Mannerheim’s rider statue’s sculpture sketches, are permanently exhibited. Outside his playful, painted glass fibre and concrete sketches of several public works are located. In Art Center Purnu you can relax and enjoy summer. The Atmospheric loft café is open for guests during opening hours. The Traditional smoke sauna is warmed up for exhibition visitors on Mondays. Two grills, covered picnic-place and beach with a slide suitable for children are available. Purnu is mindful of accessibility. The Loft café and smoke sauna are also available for groups when booked. Private events for 50-200 people are possible outside of opening hours. Guided exhibition tour on Saturdays at 14. Worshops for children and adults on Saturdays at 12-15.